Setting up a franchise is different from a normal start-up because you’re effectively creating two businesses. In other words, not only do you have to create a franchise operation that’s sufficiently attractive to a franchisee, but you also have make sure that it’s going to make a good profit for you as the franchisor. You need to be mindful of both these elements, turning franchise development into something of a balancing act. So, while the franchisee is looking to you to provide as much support as possible by way of training and particularly marketing, you need to control costs so you can continue to manage your cash flow effectively, as well as make the profit you need to keep your own business viable long-term and to invest in future franchise development. 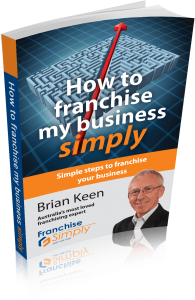 Watch This Video As Brian Keen Discusses How To Develop Your Franchise The Right Way! Control of your costs is crucial to successful franchise development, particularly during the start-up phase. However, if you listen to many franchise consultants and lawyers, it seems that keeping hold of your dollars is the last thing on their mind when, as a matter of course, they tell you that setting up a franchise is going to cost $100,000-$150,000, and perhaps even more. But by following that advice and paying the kind of prices they want for doing feasibility studies, creating documentation, developing legal agreements, planning out territories and the like, most new franchisors are going to put themselves under immediate and excessive financial pressure. This could then sabotage their franchise development from the word go. Over-investing like this when setting up a franchise isn’t necessary, and just means you’ll have less cash available to spend on developing your franchise model. For instance, it might mean that you have to cut back on your marketing, which would lead to lower and slower sales for your franchisees, which in turn would reduce your profits.